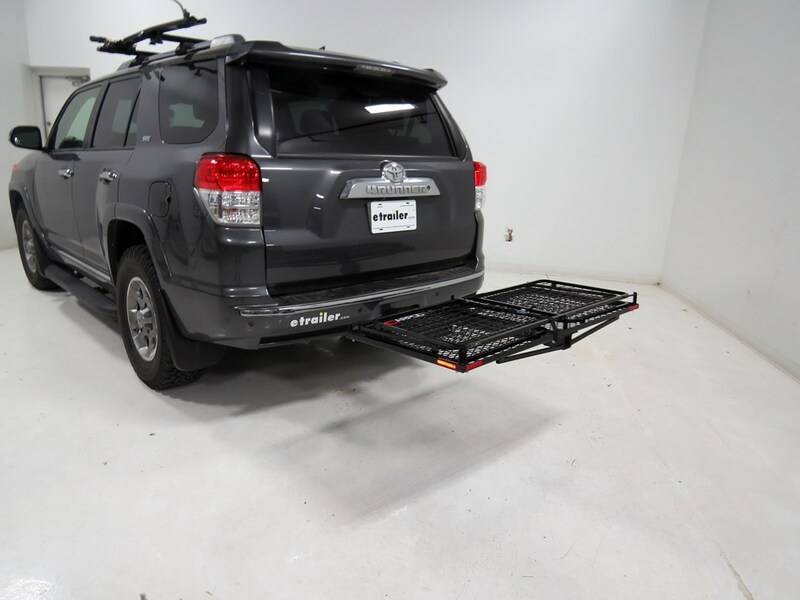 This hitch-mounted cargo carrier comes with a lockable lid and weather-resistant cargo bag. 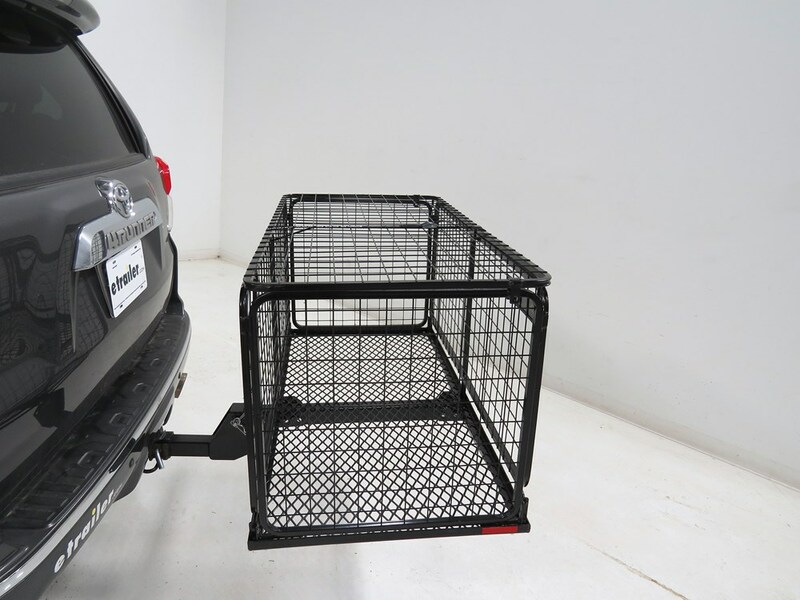 It folds flat and tilts up against your vehicle when not in use. 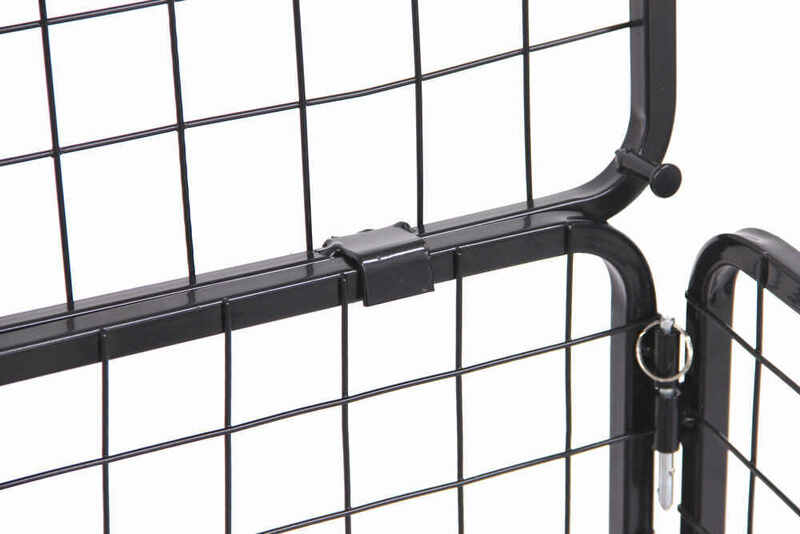 The walls offer vertical load support, and the rise shank adds 5" of ground clearance. 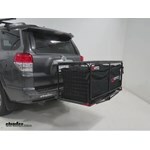 Call 800-298-8924 to order Carpod hitch cargo carrier part number M2205-01-02 or order online at etrailer.com. 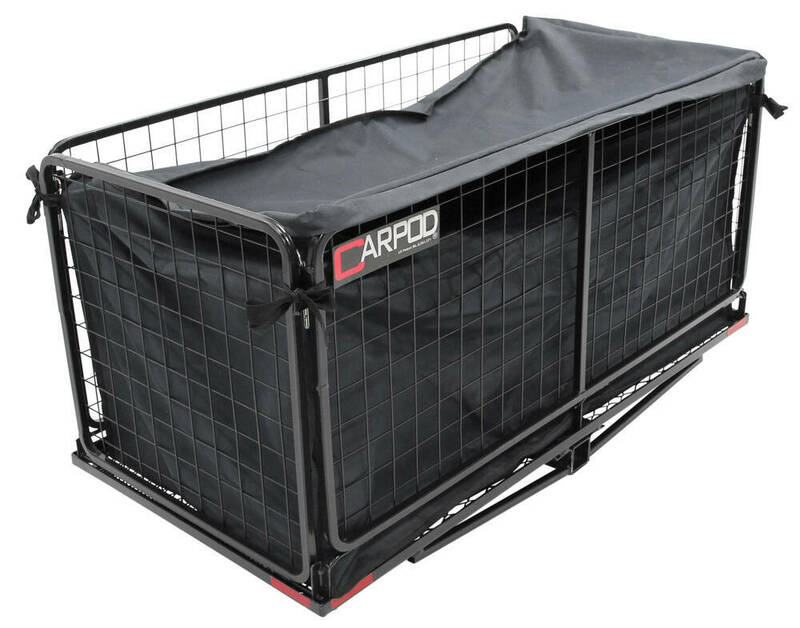 Free expert support on all Carpod products. 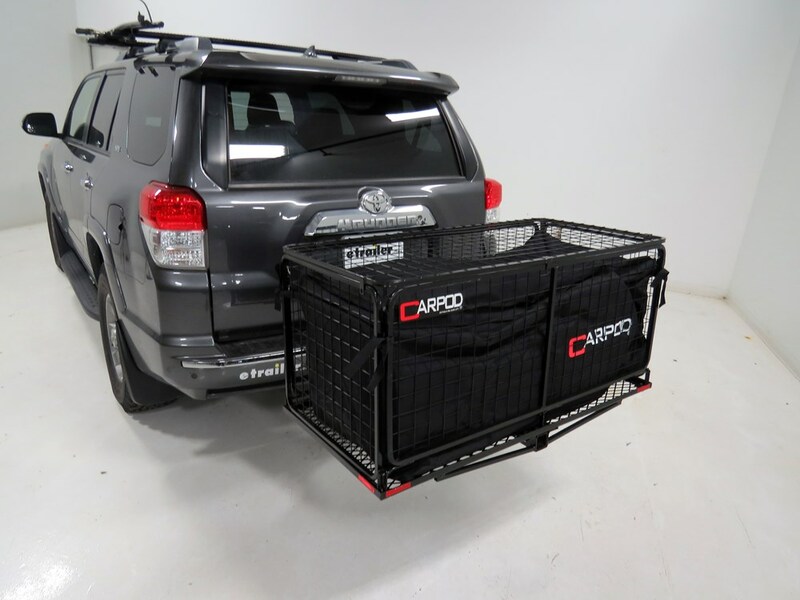 Guaranteed Lowest Price and Fastest Shipping for 24x48-3/4 Carpod Walled, Folding Cargo Carrier - 2" Hitches - w/ Lid, Bag, Rise Shank - 450 lbs. 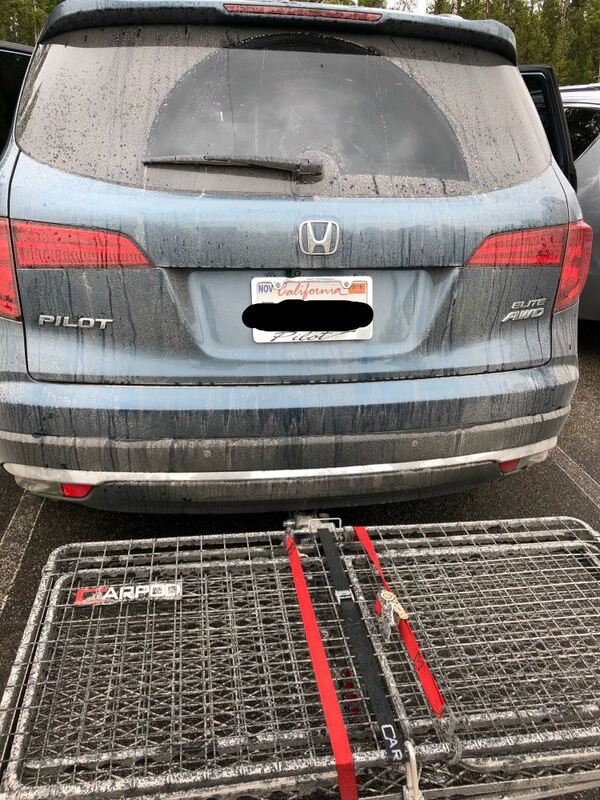 Hitch Cargo Carrier reviews from real customers. 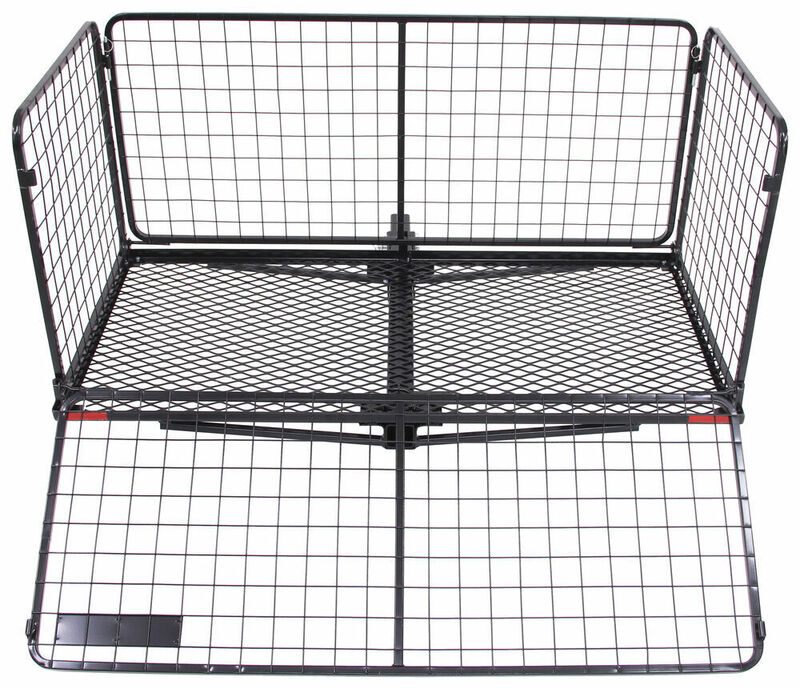 To closest edge of carrier when folded down: 14"
To closest edge of carrier when folded up: 12"
To rise in shank: 6-1/2"
24x48 Outside dimensions. 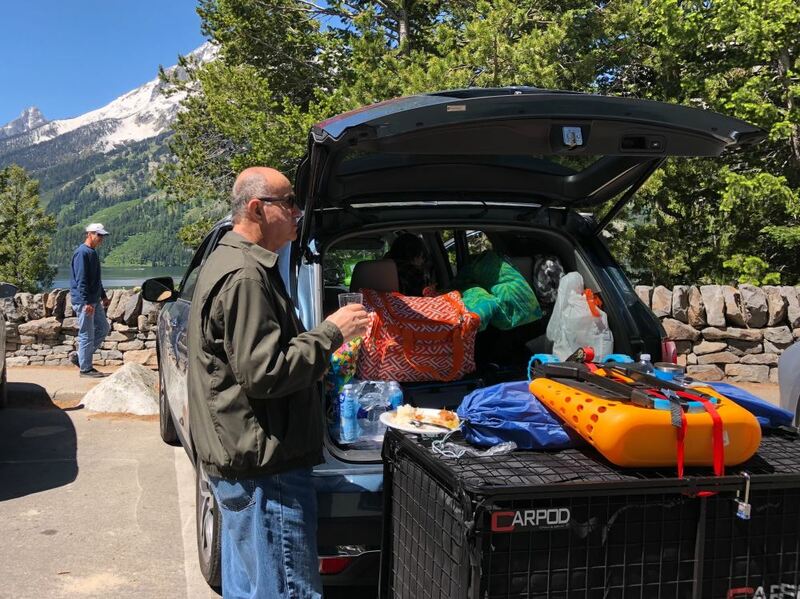 Hitch-mounted cargo carrier with lockable lid offers 13 cu ft of storage space, and it folds flat and tilts up against your vehicle when not in use. Walls provide vertical load support, and rise shank adds ground clearance. 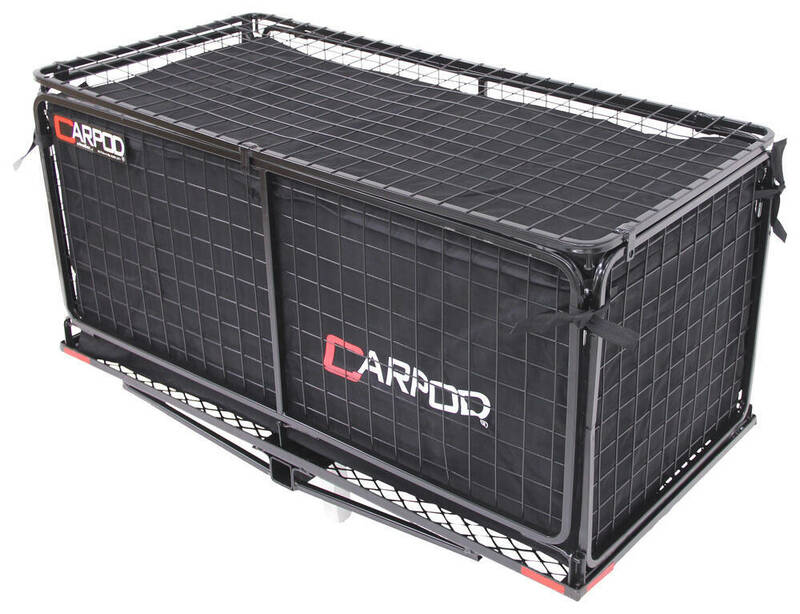 Today we'll be taking a look at the CARPOD Walled Folding Cargo Carrier with Lid and Bag, part number M2205-01-02. 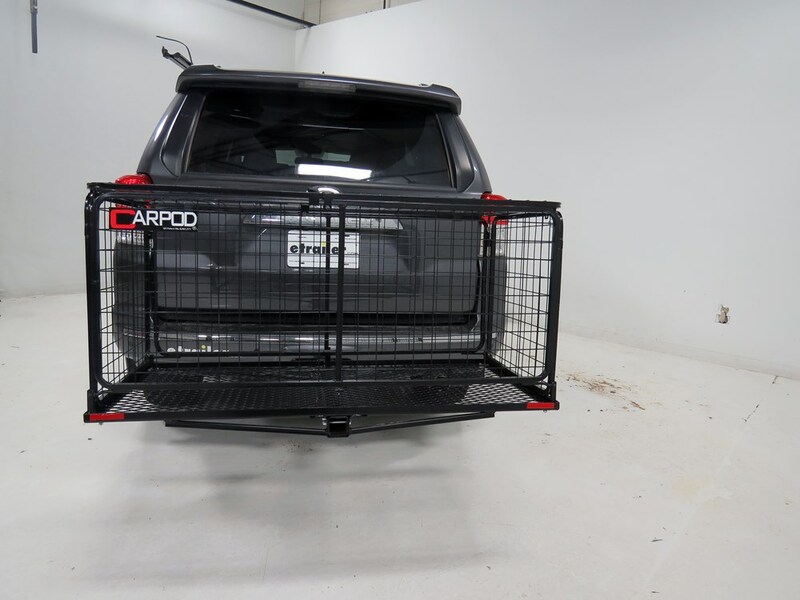 The CARPOD Hitch Mount and Cargo Carrier is the ideal solution for keeping your cargo secured, contained, and protected on the back of your vehicle. 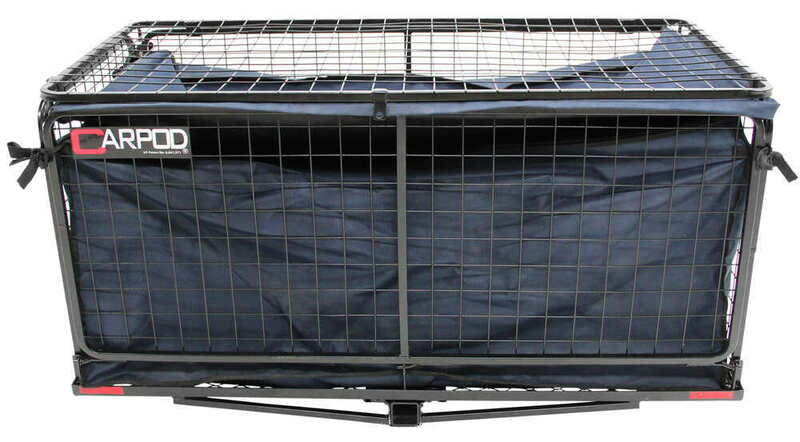 It features a durable polyester bag which is going to provide privacy and protection from the elements for our cargo. It measures 46-inches long by 22-inches wide by 22-inches tall. 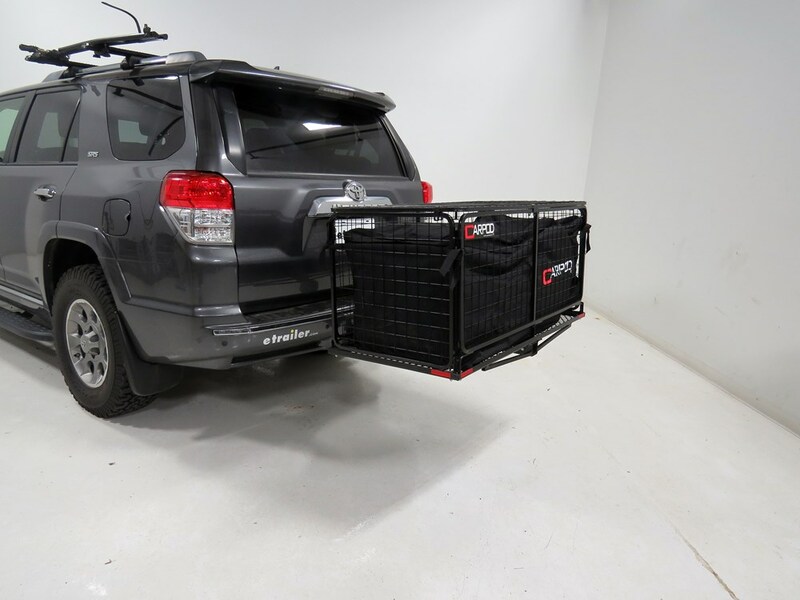 It has straps to help keep it from shifting inside the cargo carrier as well as a flap to further protect the zipper from the elements. 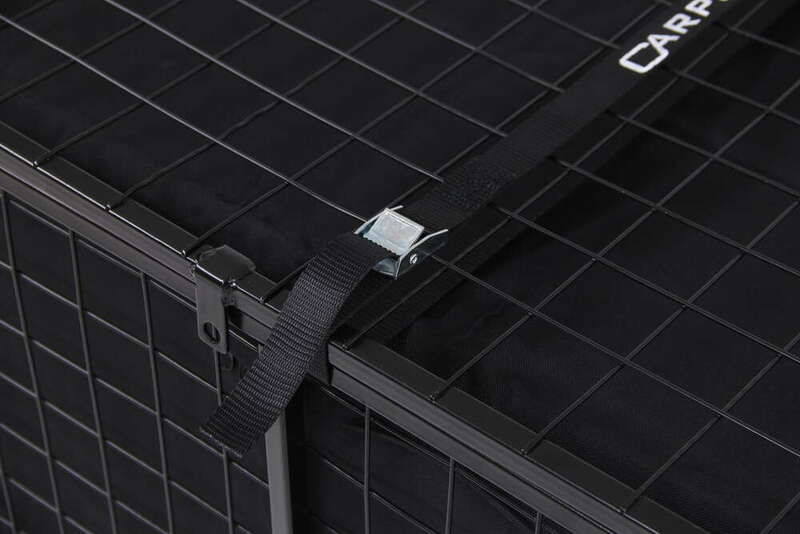 It comes with a locking lid so we can further secure our cargo, so we can ensure that it'll be here when we get back. 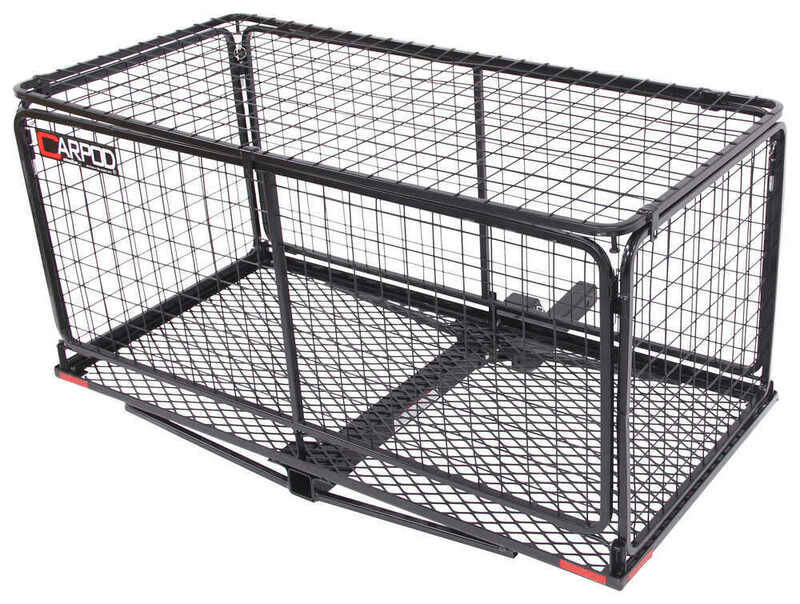 It features 3 locking points so we can secure it with a padlock or we can use our included strap to hold down the lid. As you could see, with that tight it's not coming up. 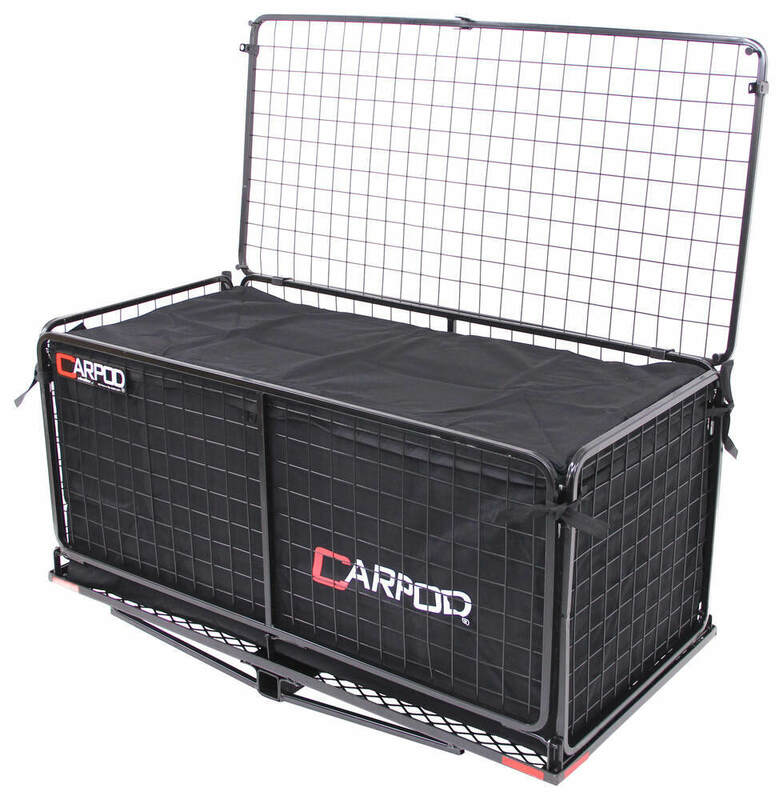 When not in use, the whole CARPOD just folds flat. Simply pull the pins, bring the sidewalls in first, then once everything's folded down, we can grab our included strap and secure it. What that strap's going to do is it's going to help keep it from moving around once we have it folded up against our vehicle. Put our pin and clip in place, and then as you could see, the strap is going to keep it nice and secure while we're driving down the road. Here between our CARPOD and our vehicle, we've got our shank which is giving us a 5-inch rise for additional ground clearance. From the center of the hitch pinhole to the beginning of the rise is 6-inches. From the center of the hitch pinhole to the outer most point of the carrier is about 14-inches. 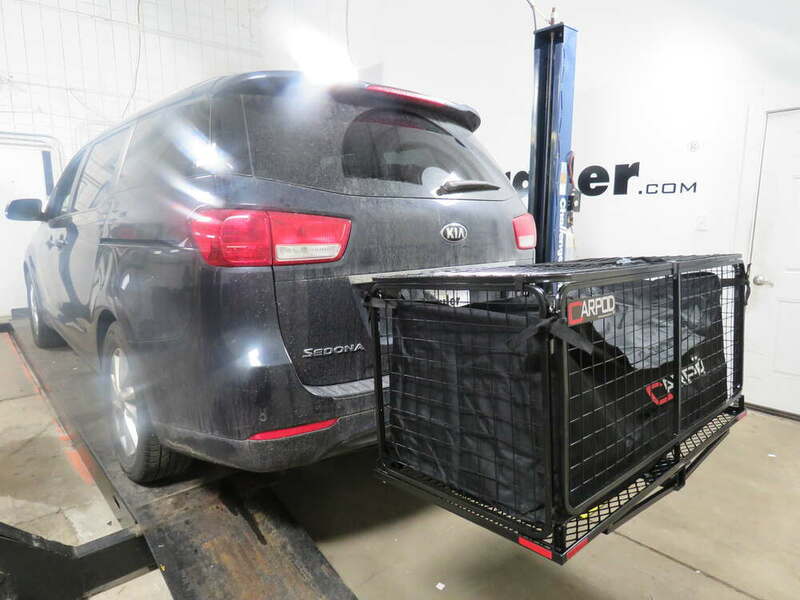 From the center of the hitch pinhole to the rear of the carrier is roughly 38-inches. With it folded up, from the center of the hitch pinhole to the carrier is about 7 and a half inches. To the rear, from the center of the hitch pinhole, it's about 13 and a half inches. 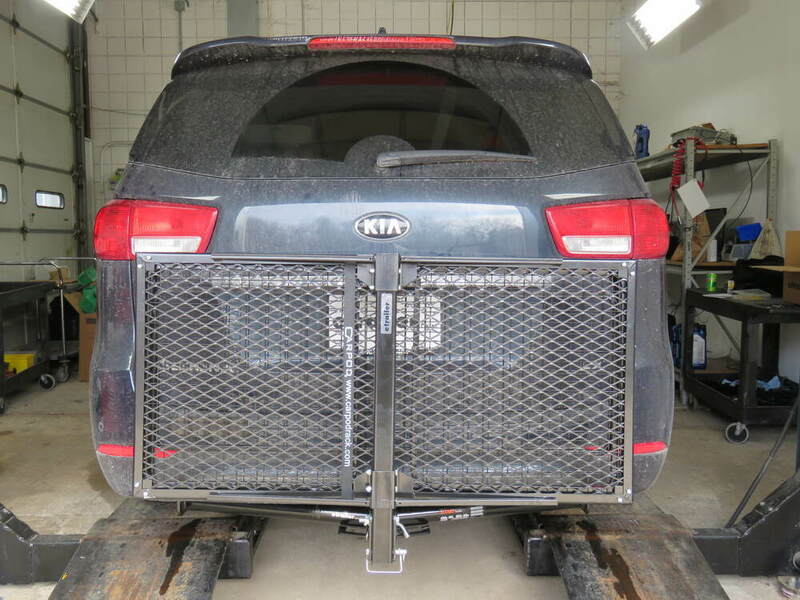 Here are the rear of the cargo carrier, we've got 2 reflectors on each corner. This is to ensure better visibility for our other drivers. 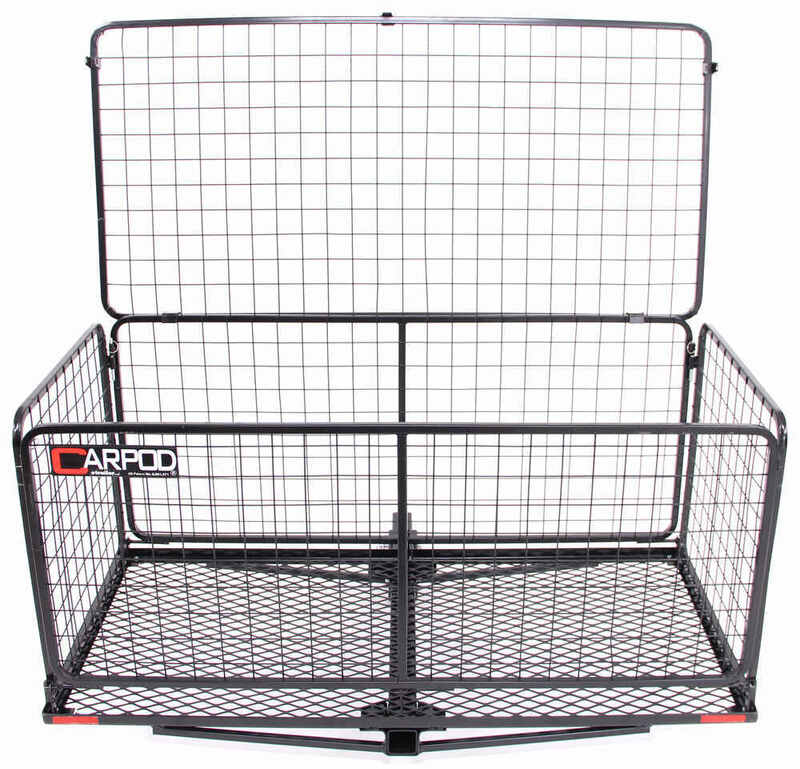 The whole CARPOD Cargo Carrier is made out of a galvanized steel construction. It measures 48 and 3/4 long by 24 inches wide by 22 inches tall. 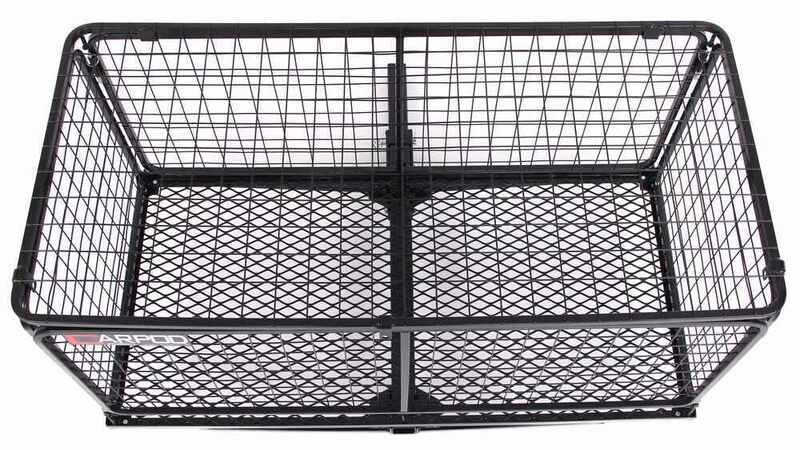 It has a nice 450 pound weight capacity with a nice black powder coat finish, so it's going to resist rust and corrosion. Now that we've gone over some of the features, I'll go ahead and show you how to get it installed. We've got it in the fold position here, let's go ahead and first take our shank and load it into the 2-inch by 2-inch receiver and then we'll line up our pinholes. Then once we get our pinholes lined up, we'll go ahead and take a pin and clip and put that through. 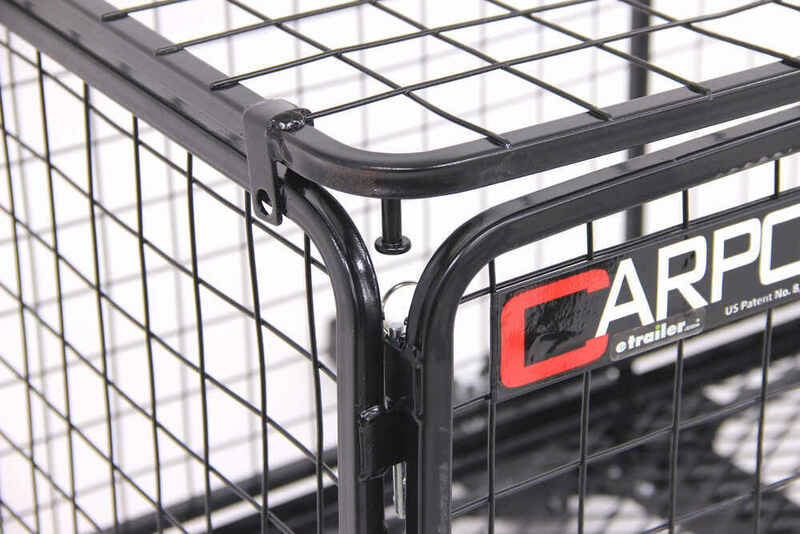 This carrier doesn't come with a pin and clip, but you can find it on our website at etrailer.com, part number PC3. Put the clip in place on the other side and then we've got it. Now we can lower it down in the platform position, so what I'm going to do is to come down here to this clip, going to remove that, remove this clip, and then pull out the pin. That's going to allow it to fold down, then we could replace that pin and clip, locking it in place. 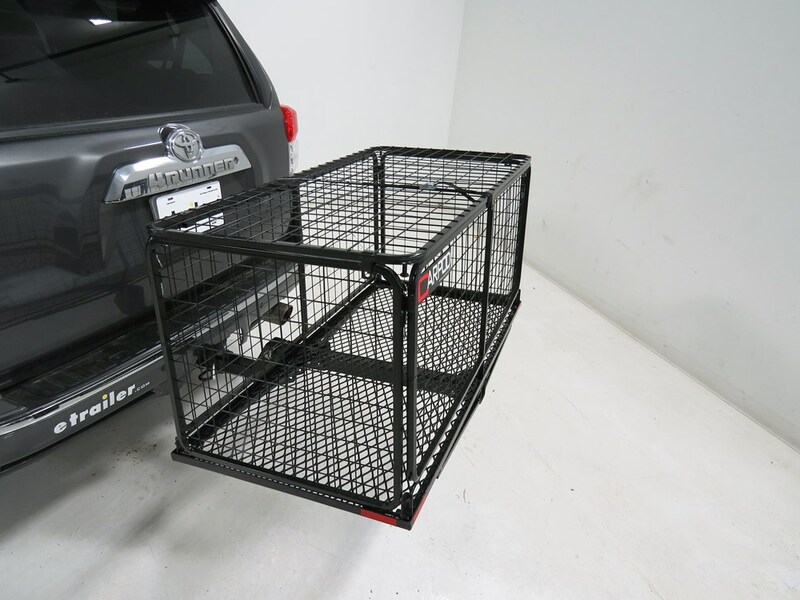 Now with it in this position, this would be a good time to get into your rear hatch to remove any cargo, gear, groceries. Anything you might have with you on your trip, so that's before you fold up your independent walls, that is. Then we can undo our strap that's keeping the walls secure, get this done and then we can fold them out. 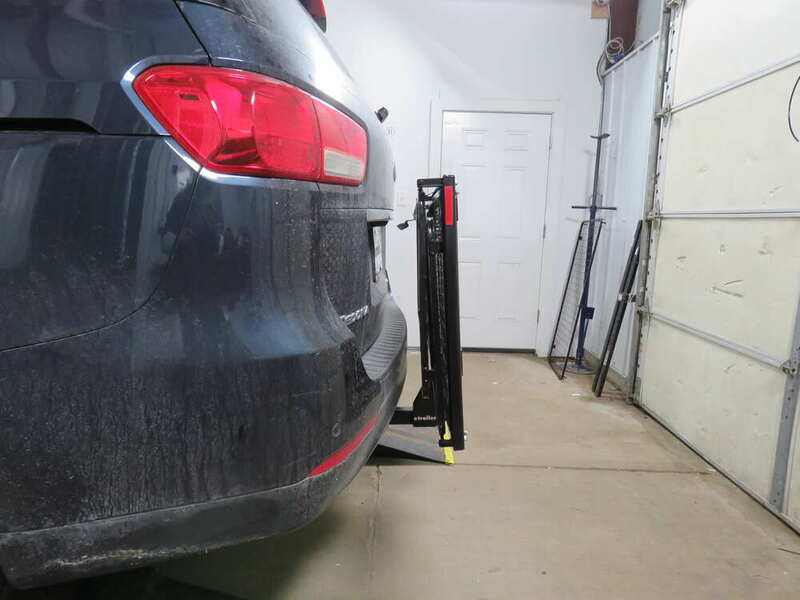 Then we can start by opening up the rear wall here and then the front, and we can let go of the front because it's got a little stopper there to keep it from swinging back into the vehicle. We'll raise up a side wall here, we'll line up our pinholes, take our pin with the d tent 00:04:26 in the end and slip that in place. We're just going to repeat that step on the other 3 sides. Now let me come on the other side where I can show you a closer look. Right, and then we've got it. Now let's grab our bag. Now for loading our bag up in the CARPOD, I've got it filled up with some paper for today's demonstration, that way you can get a good idea of what it looks like and how it fills out. 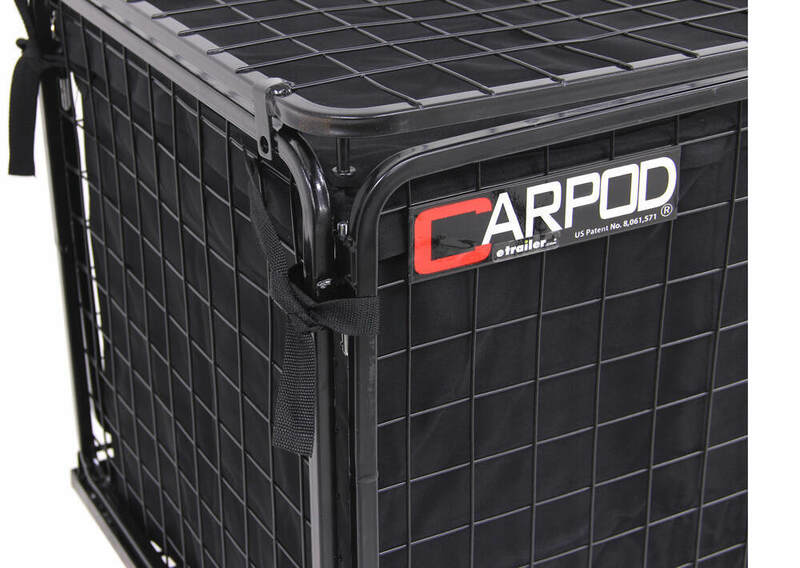 For loading it up in the CARPOD, you can lower 1 of the walls, whatever works best for your application. 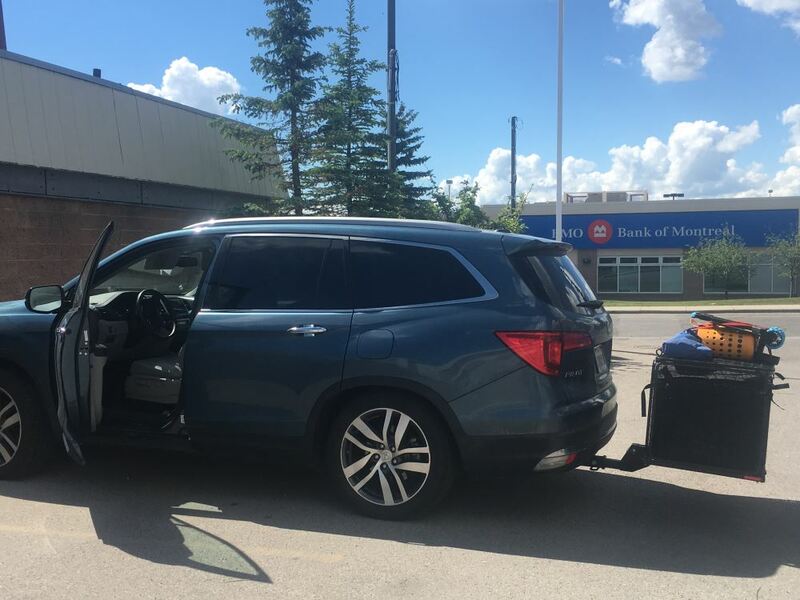 You just want to make sure and probably have it unloaded before you load up any of your cargo, that way the bag is nice and lightweight. Let me lower the front wall here and just kind of put it into place, then we could just close that back up. Now the bag has 4 secure points with the straps here, so we can strap it to the inside of our CARPOD. You'll just bring that around, and tie that up. Then we can just repeat that same step on the other 3 corners. Again, with all the straps in place, it's just going to make sure that our bag stays secure inside the CARPOD. Now for our lid, we've got the flanges on the back side to connect around the top of our CARPOD. In the front, we've got the lock down points, we've got 1 here, here, and there, so 3 in the front. The way you put this in is you'll take the flange end, slip it into the CARPOD on the back like that, lower it down, make sure the locking points go around the bar like so on all 3 sides. Then we can put a lock in place to add some security. 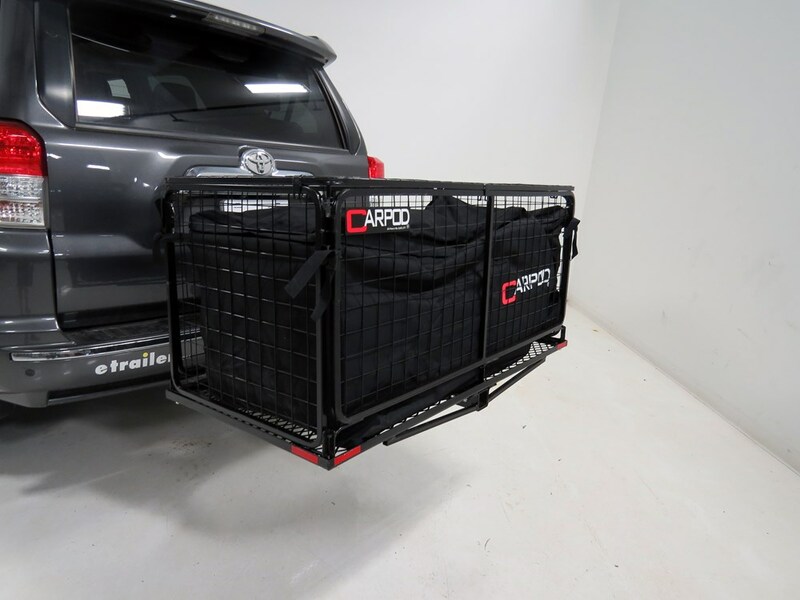 The CARPOD Cargo Carrier doesn't include locks to lock it down, so you will need to provide your own. The lock we're using today is pat number AT89019, and this locking kit actually comes with 2 locks, so we can lock down our multiple locking points on our CARPOD. It's pretty simple, you just slide your padlock through, bring it back, so the hole's there, and lock it in place. As you can see, the lid's not coming loose. 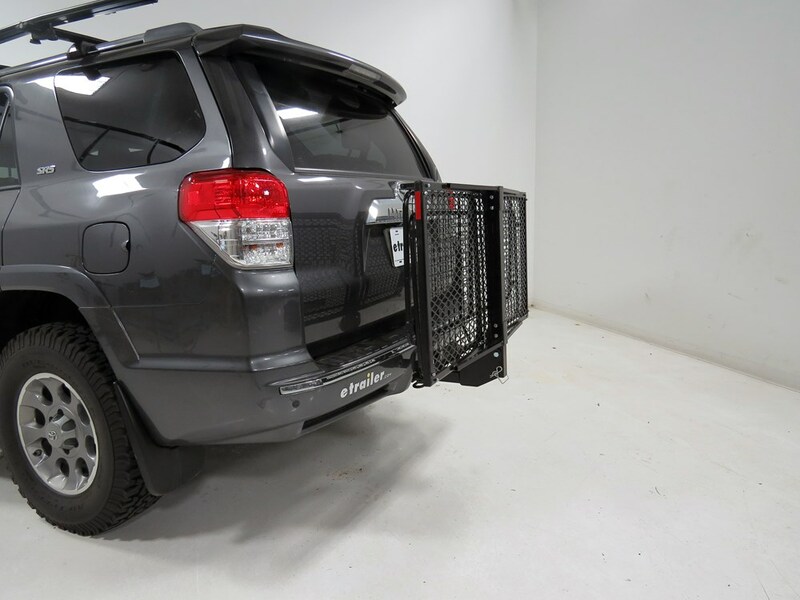 Now with our CARPOD secured, let's go ahead and take it on our test course and she how it performs. Here on our test course, let's first go into our slalom. This is going to show side-to-side action, such as going around corners or evasive maneuvering. Then onto our alternating speed bumps, this is going to show a twisting action such as going over potholes or uneven pavement. Then finally onto our solid speed bumps, this is going to show an up and down action such as pulling in and out of a driveway or out of a parking lot. 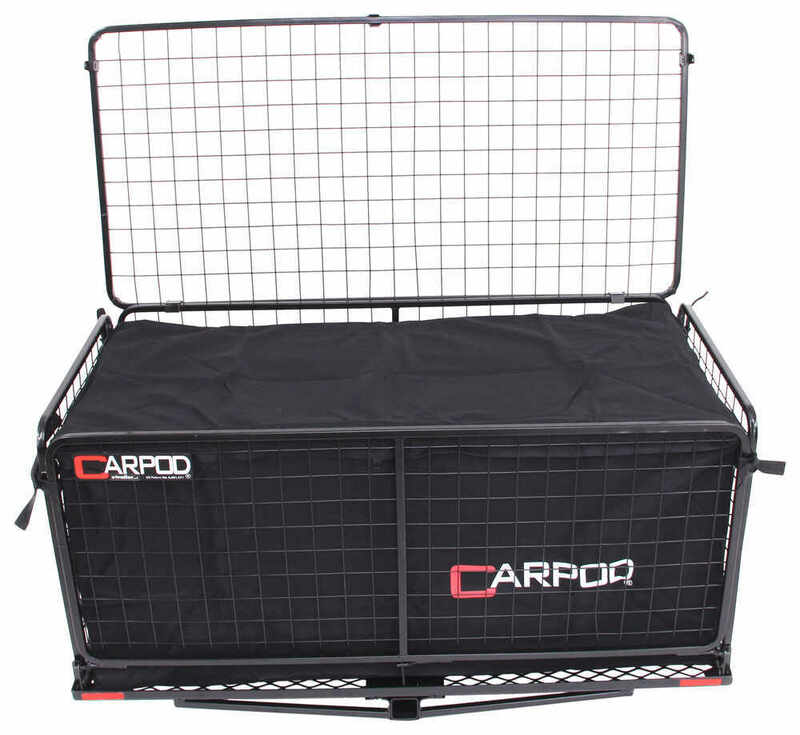 That's going to complete our look at the CARPOD Walled Folding Cargo Carrier with Lid and Bag. Part number M2205-01-02. 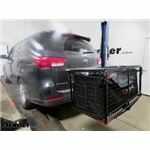 Order: RelevanceNewestRating - High to LowRating - Low to High This hitch-mounted cargo carrier comes with a lockable lid and weather-resistant cargo bag. 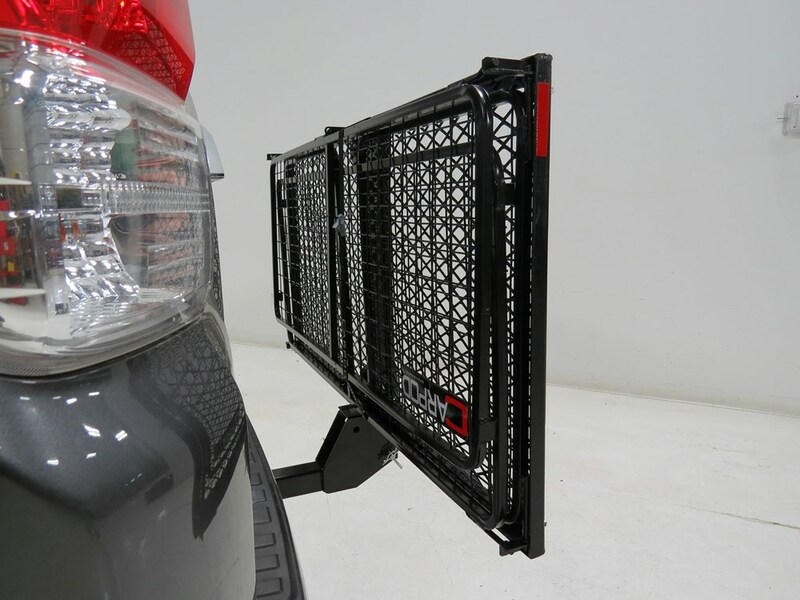 It folds flat and tilts up against your vehicle when not in use. 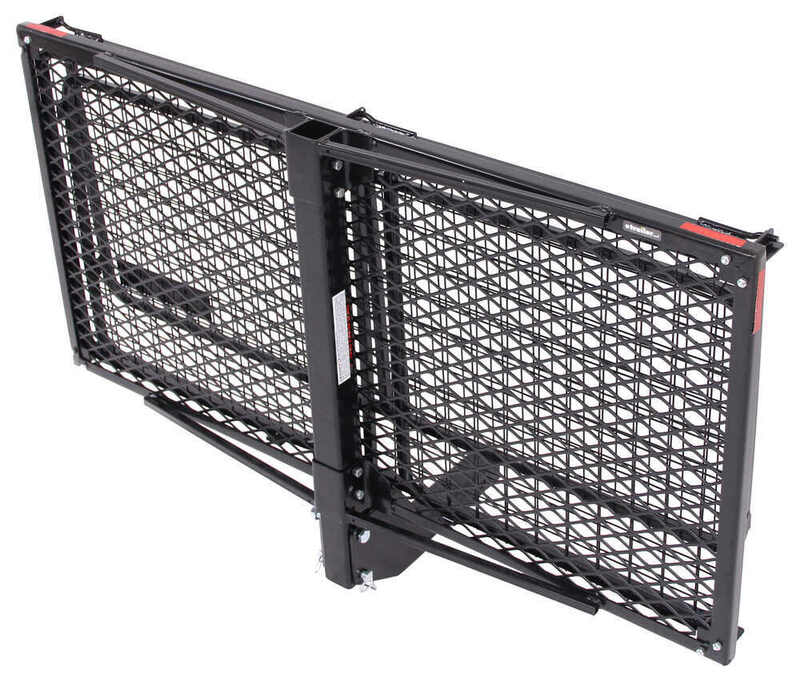 The walls offer vertical load support, and the rise shank adds 5" of ground clearance. Worked out great. Has kept all my equipment safe and secure during my camping trips while giving me extra space inside my vehicle. No issues whatsoever. Still working great. Would buy again. We took it on a trip to Kansas City. Over 1,800 miles round trip. It worked out great for us. We got in some downpours. A little moisture got in, but not too bad. We bought an additional piece to prevent rocking on bumps. Together, I recommend this product. Works great for what we need. 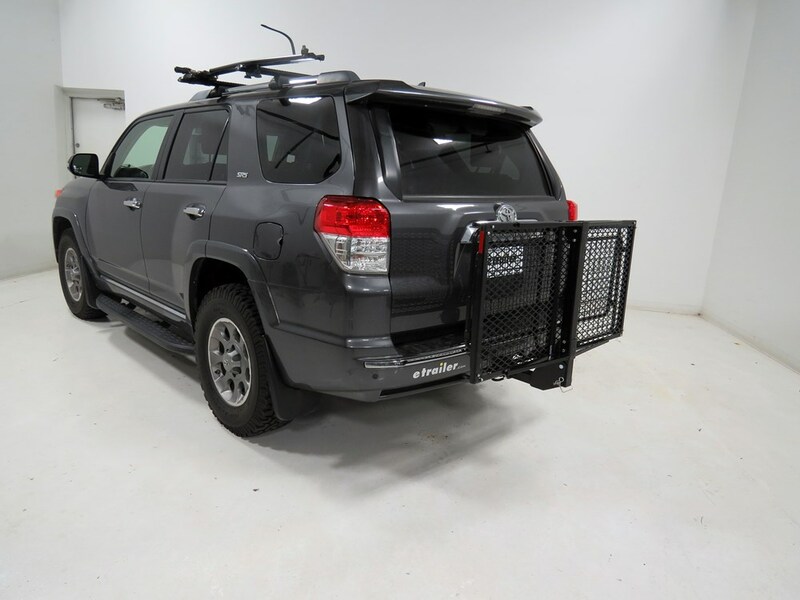 Unfortunately, we do not have a license plate bracket specifically designed to be used with the Carpod Carrier # M2205-01-02 but we have a number of trailer license plate brackets that could possibly be used. I've linked our selection for you. One example that is quite versatile is # CR79150 which has a number of openings that could be used to mount it to the carrier. Using zip ties or something similar would probably work just fine. The difference between the two Carpods that you referenced is that the part # M2205-01-02 can fold up and the # M2200-01-02 does not fold. The only color that the # M2202 comes in is black. You should note that this bag is included with both carriers mentioned. The bag would take the shape of the cargo installed in it for the most part. If you filled out the bag it would not sag at all. 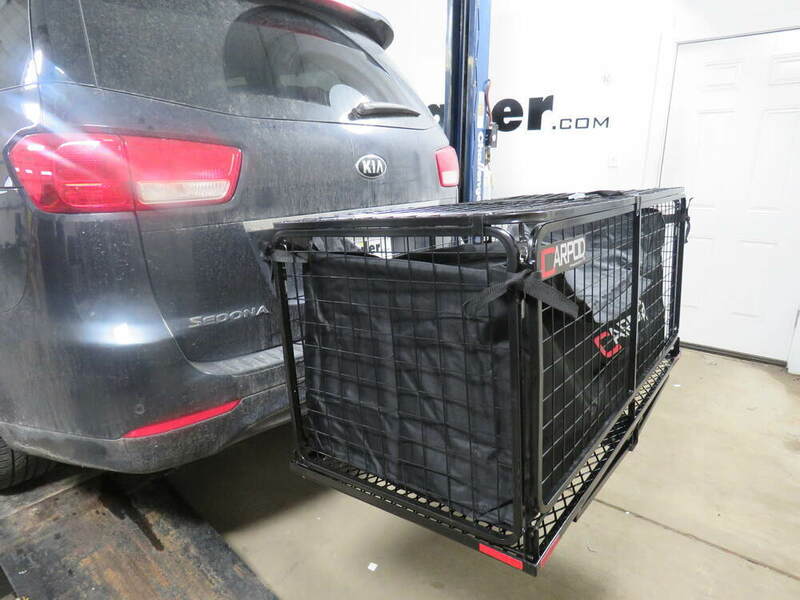 I went out into our warehouse and measured a Carpod Hitch Cargo Carrier # M2205 when it is folded up and found that it measures 7 inches from the center of the hitch pin out to the nearest portion of the carrier. Check out the picture I attached that shows this measurement. 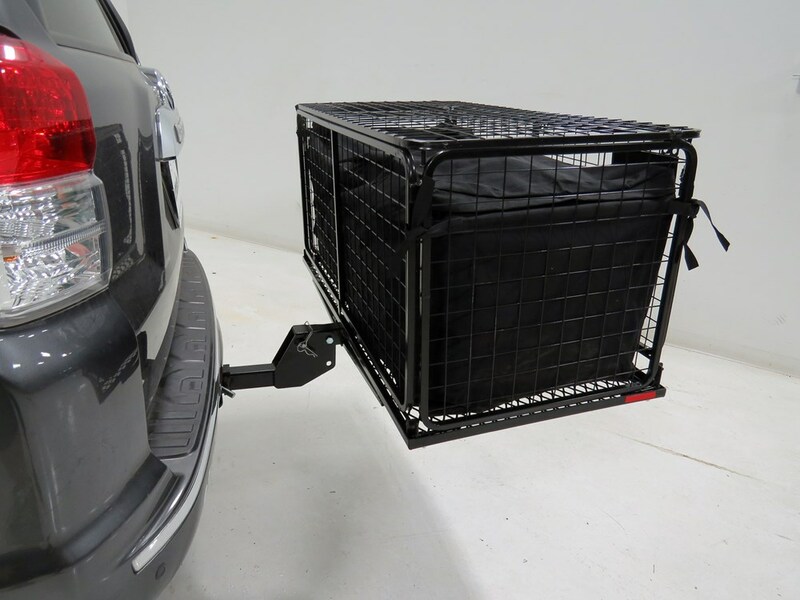 The hinge pin you are talking about on the Carpod Walled, Folding Cargo Carrier, part # M2205-01-02 is a 5/8-inch diameter pin. I called my contact at Carpod and they siad it is really solid and an anti-rattle pin is really not needed. 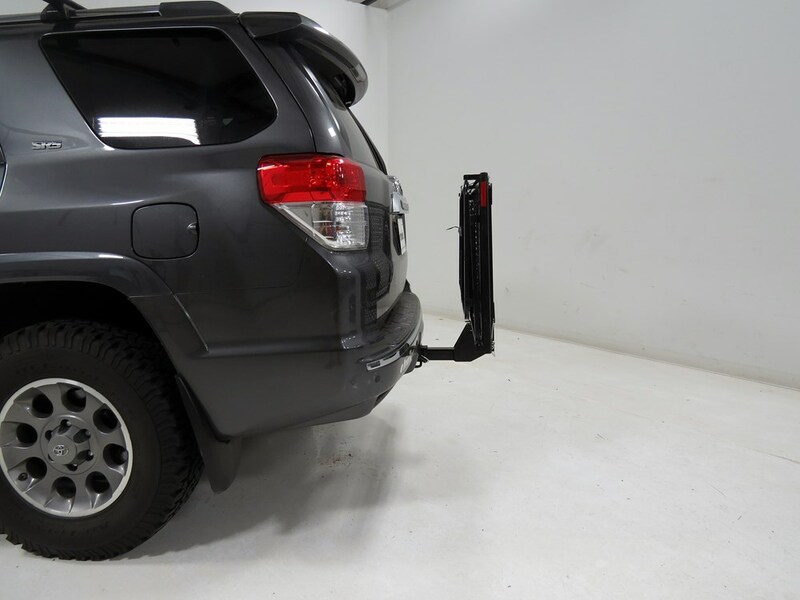 The hitch pin and clip to use on the trailer hitch receiver is not included. For a standard pin and clip you can use part # PC3 and for a locking anti-rattle hitch pin you can use part # 63232. 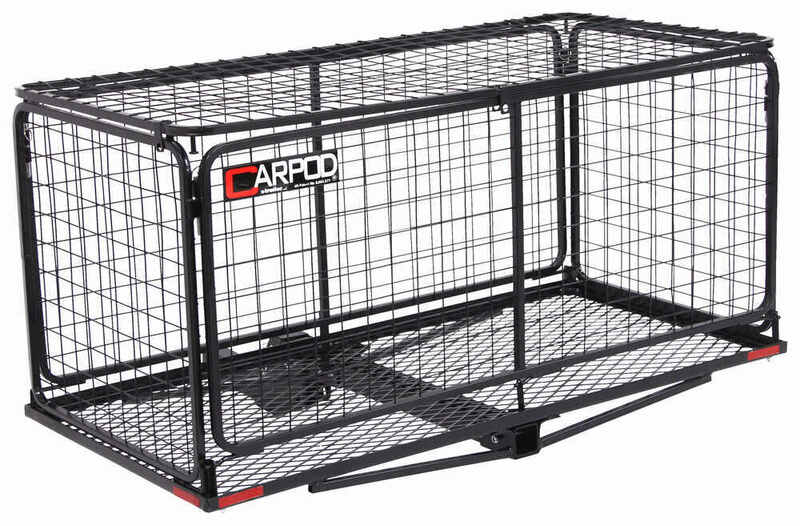 There is a product which could work for you but the Carpod enclosed carriers only come in 24" x 48" dimensions. 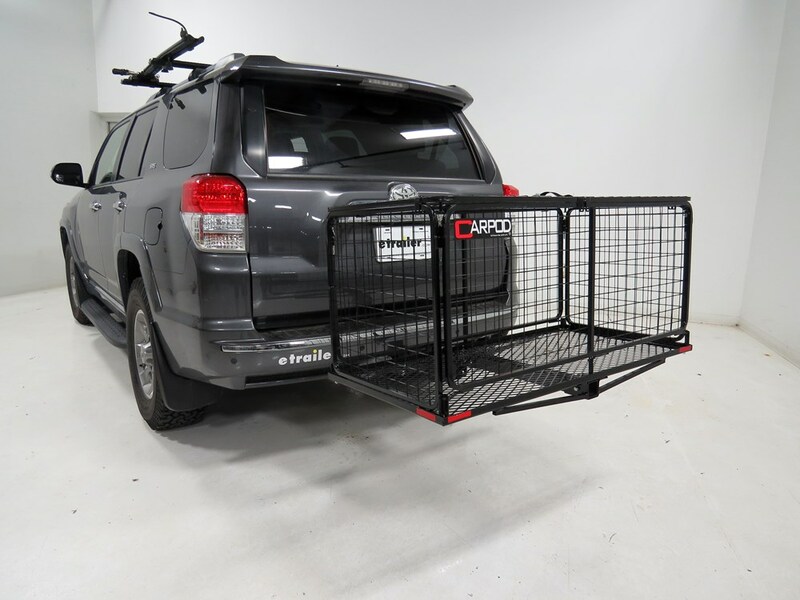 I recommend taking a look at the Rola Enclosed Cargo Carrier # 59110, which is 53" Long x 27" Wide x 21-1/2" Tall, holds 13.5 cubic feet of gear, weighs a mere 30 lbs and locks to provide you with the security you are looking for. 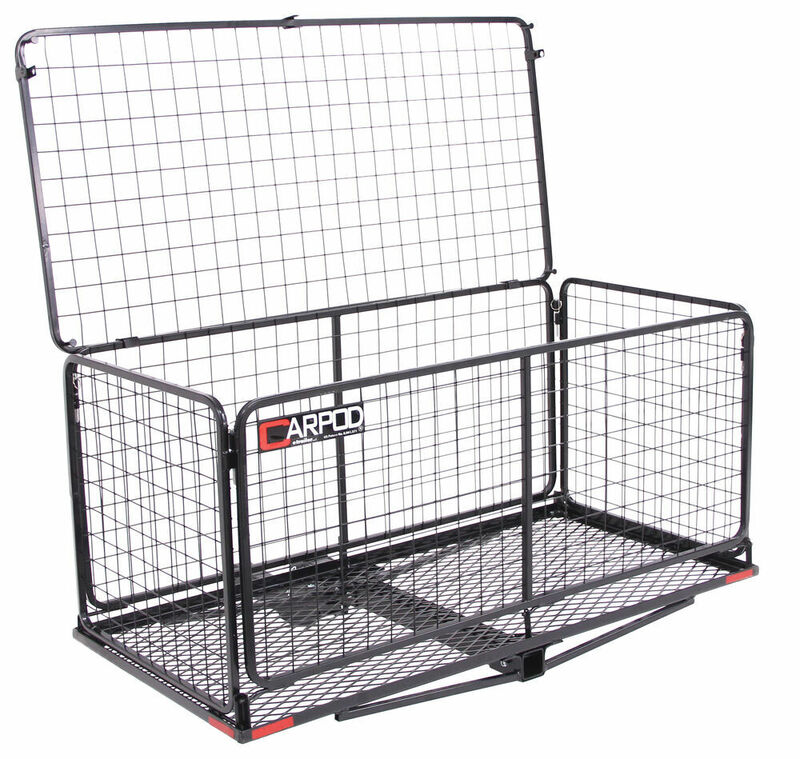 I've added a link to a video review of this carrier for you to take a look at. 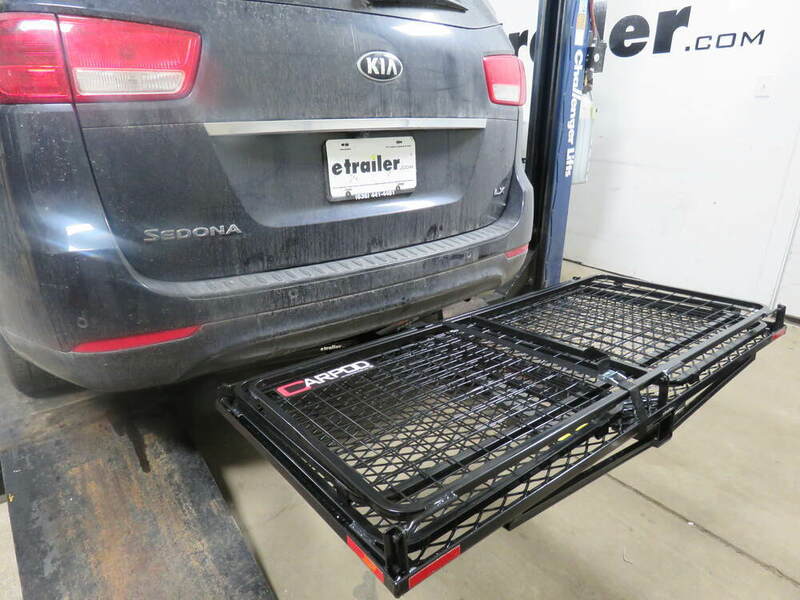 Not all enclosed cargo carriers are approved for use at the rear of an RV like the part # M2205-01-02 that you referenced but I do have a great solution for you that is. 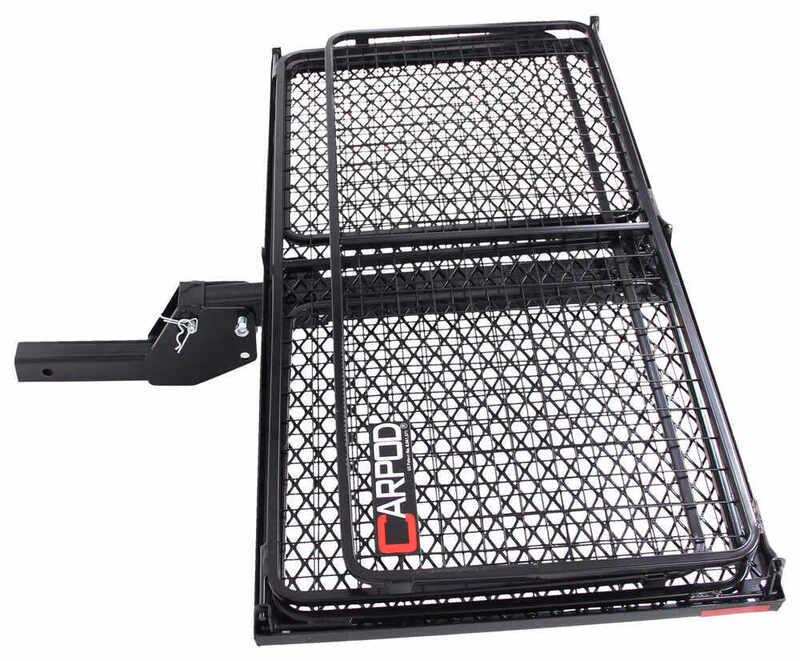 You'd want the GearDeck 17 Enclosed Cargo Carrier part # H00604 which is RV approved and will work well. 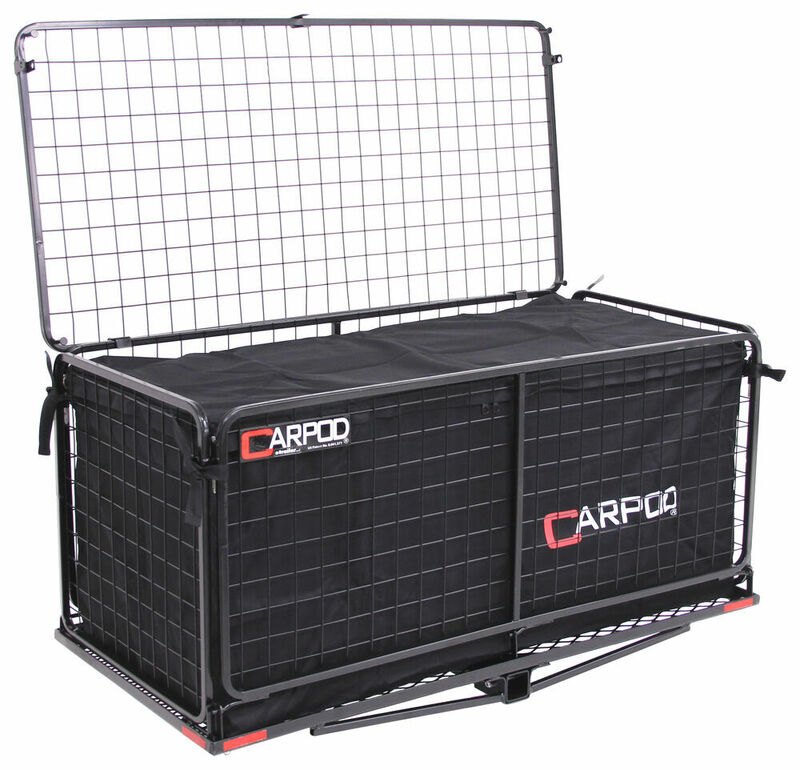 This can carry up to 17 cubic feet of storage space and has a 300 lb capacity. 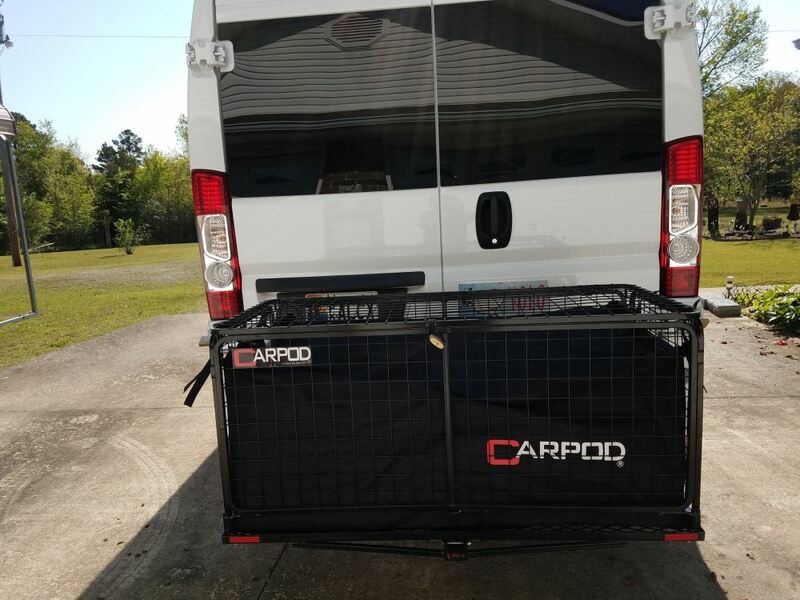 I attached a picture of what the carrier looks like installed on an RV as well as an install video for more info as well.